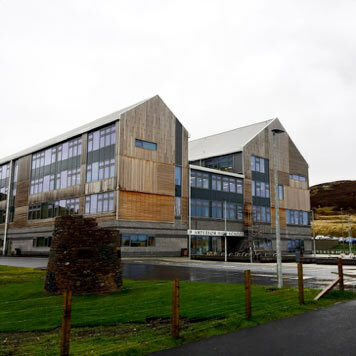 Research staff from the School of Biology in collaboration with colleagues from the University of Edinburgh visited every secondary school in the Shetland Isles over the course of a week in early November 2018. Dr. Nicola Cook and Professors Michael Ritchie and Thomas Meagher from the University of St Andrews and Dr. Daniel Barker and colleagues of the University of Edinburgh delivered a series workshops to pupils to demonstrate “the power of computers in biology”. 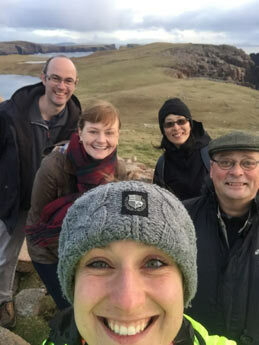 This series of workshops on Shetland is part of a larger effort being undertaken by the 4273π project (http://4273pi.org), spearheaded by Daniel Barker at the University of Edinburgh. 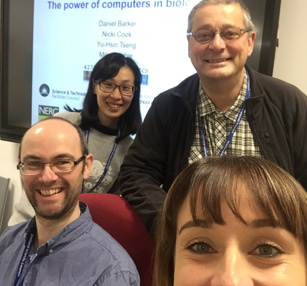 Bioinformatics is touched on only briefly in the Higher Biology curriculum and 4273π aims to take this seemingly abstract concept and make it tangible to school pupils and teachers across Scotland via hands-on practical sessions. Importantly, these workshops illustrate how the emergent field of bioinformatics is now key to many areas of biology to manage the large datasets that scientists are producing. For many of us this means storing and analysing DNA sequences. Higher Biology and Higher Human biology pupils used bioinformatics to analyse a “mystery DNA sequence”, using publicly available databases to find information regarding its function, and then made inferences about its evolutionary history and the ecology of the animal the sequence originated from. Pupils worked in a familiar web-based environment and then moved onto working at the command line, using Linux on raspberry pi computers (https://www.raspberrypi.org/). 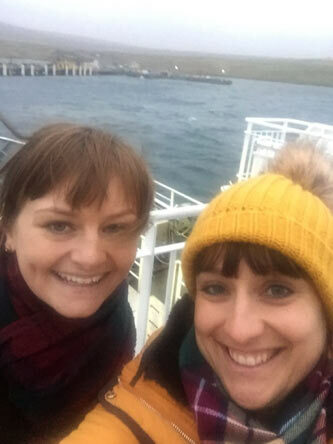 Stevie Bain (Edinburgh) and Nicola Cook on the ferry to from Mainland Shetland to Yell to deliver a workshop at Mid Yell Junior High School. Out and about on the Shetland Mainland! L-R Daniel Barker (Edinburgh), Stevie Bain (Edinburgh), Nicola Cook (St Andrews), Yu-Hsin Tseng (Edinburgh) and Mike Ritchie (St Andrews).